Tom Harwood (Guido) actually saying a 2nd referendum is on the table in the talks. > Well I'm glad about that. Reported to Admin - mainly for being illiterate. Edited 1 time(s). Last edit was april 03, 04:00pm by teddyboy23. Oh Lordy they've hit it off (Jez and Tez that is). Well, they are both utter [email protected] putting themselves ahead of the electorate, so perhaps it's not that surprising. RH would have made mincemeat out of you which you clearly feel. You appear to be a hateful and hate filled sort. Cells you couldn't be more wrong there are pictures in the papers today showing what I said.OK I added the last bit as a joke.fair enough your not amused .what with all that's going on in this country brexit shambles fatal stabbings crime in general .just a little bit of black humour .some people might find funny some not . I know the 213th was just out of prison wearing a tag, but as we have a bye-election in Newport in a labour safe seat pending I'll take it. > labour safe seat pending I'll take it. Says it all that you are fine with a dishonest crook just out of prison exercising what was essentially the casting vote in Parliament to pass a bill you support. If you reflect on that and change your mind, do let us know, otherwise I don't think that position reflects at all well on you (or any arguments you might voice). It's not like a dishonest football player obviously diving to get a penalty when if it's for your team you might sometimes tempted to say 'I'll take it'. This is not a game and it is rather more serious, surely? The Beeb are still saying Brexit deadlock...if I remember correctly the majority voted Leave in 2016...deadlock- what deadlock? > > labour safe seat pending I'll take it. > you (or any arguments you might voice). As one broadcaster said yesterday this is what it's like to live through history and it's not nice. That's hardly the point now, is it? Although we disagree on a number of things re Brexit, I hadn't thought you were that way inclined. Appears I was wrong, which is disappointing. So, in terms of unlawful/disgraceful conduct, is there nowhere you draw the line in terms of moral disapproval, provided you get the result you want? Helpful to know your standpoint/morals though. I can save time not bothering to read or comment on your posts. I think we already know your standpoint Jen! Edited 2 time(s). Last edit was april 04, 01:07pm by robbin. > I think we already know your standpoint Jen! Seriously some people are claiming on twitter they've had death threats - the standard on here might be not always top of the intellectual range (some posters might be, I'm not claiming to be) - but its not that bad and it's not really nasty either. I think that's a super idea. But seriously. You seem very emotionally affected by the vote last night. I'm surprised by that. Surely there are only two sorts of people who would find it distressing. First there are those who have a financial interest in 'No Deal' (ie they've taken a major punt on a falling pound). Secondly there are the ideologically driven Brexiters who don't understand that their beloved 'tight timetable' has been one of the major factors scuppering their project. 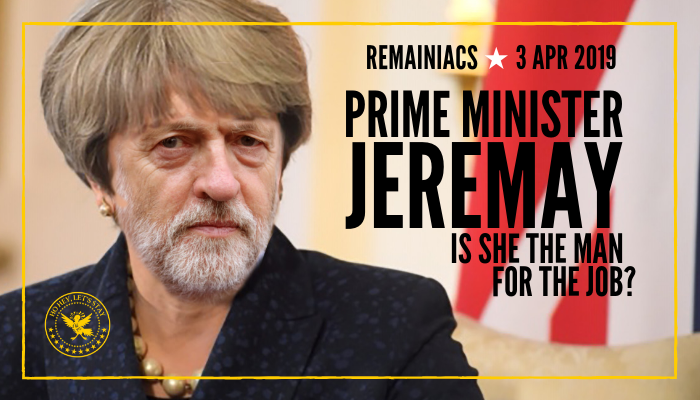 I know you voted 'Remain', so find it odd. I doubt you're really interested in examining the moral and past criminal records of everyone in the Commons....but we can go through them one by one if you like. As my account has not yet been deleted, I've read your last post and can still reply, John. I quite appreciate you have not been nasty or abusive, however there's been a shift towards the lowest common denominator within a certain small group and some of the usual suspects' posts have become increasingly puerile, not to mention abusive, which is tiresome. Edited 1 time(s). Last edit was april 04, 01:40pm by robbin. > I think that's a super idea. > Not overly concerned what you think might be 'super'. I do expect you will think it is super to get closer to the point where you only have to communicate with those who share precisely the same views as you. Well Robbin, people can, of course, have any view they like. But I will always speak out when arguments are made that discount the common good. You said you'd voted 'Remain', worked in a senior job in banking, but thought that 'No Deal' would be fine. You were quite happy to discount the views of the CBI, Bank of England, Trade Unions and BMA that 'No Deal' would be deeply damaging. I could only assume that you would be financially secure in any eventuality - and were not much concerned about what happened to other people. I don't work in a senior job in banking (and have never said I do). Careful who you call a 'banker'! I would have thought you could have worked out what I do for a living by now, but in any event, it is not in banking, although I do spend quite a lot of time involved with bankers and banking related matters (but that's just one business sector of several that I get involved with). Anyhoo, without any foil to the worst excesses of scaremongering, factual misstatements and self-serving postings, you should from now on enjoy being closer to only having to read posts you agree with - happy days!